For our birthday last week, we each got giant Happy Hearts cookies. They were very delicious. 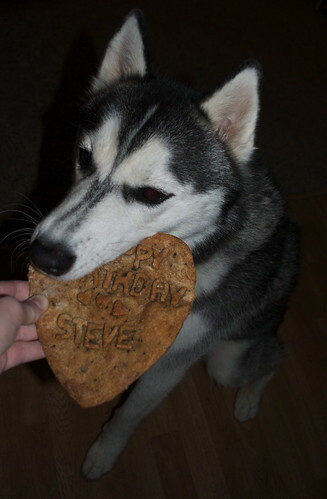 Steve got his first because he can't sit still for pictures if I already have a cookie. Next it was my turn to have a cookies. 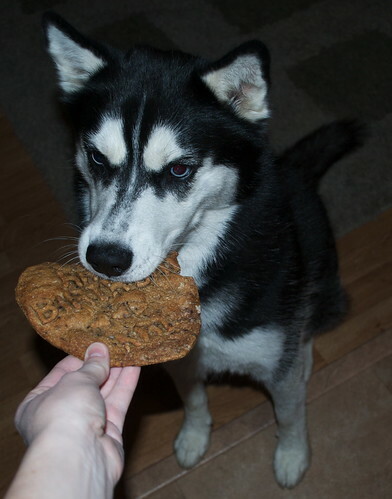 I was nice to Mom so I sat pretty so she could get a good picture of the cookie. Wilbur had jumped on the cookie earlier and broke the corner. 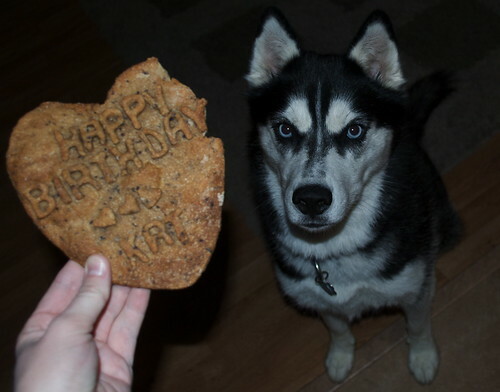 After Mom got her picture, I gently took the cookie. We got to eat the cookies on the bed, but don't worry about the crumbs. We are very good vacuum cleaners.